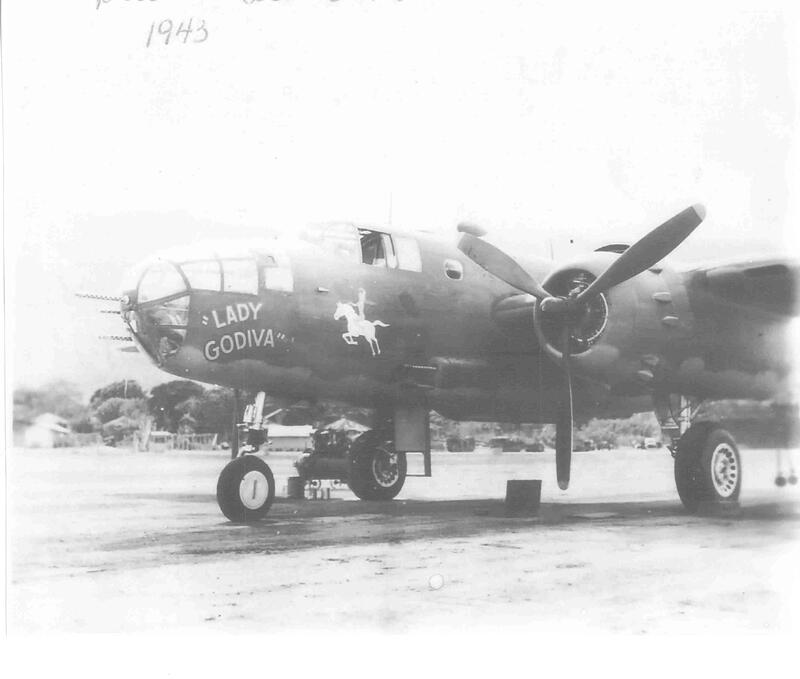 "Lady Godiva" sits on the ramp at Hickam AB, Hawaii in 1943. 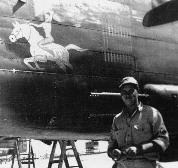 This was the crew's final stop before heading to the combat zone a few weeks later. The original crew of "Lady Godiva". 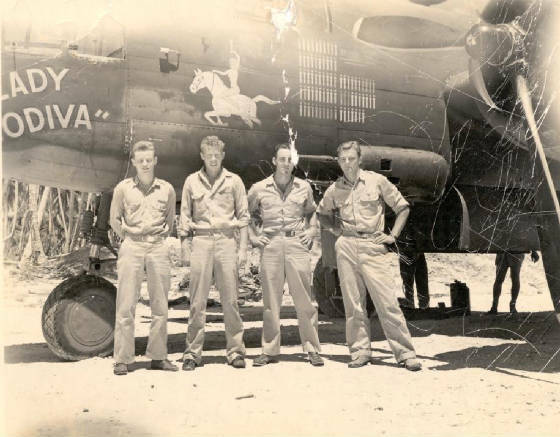 Left to Right: 1st Lt. Art Sanislo (Pilot), 1st Lt. Lyndon Young (Bomb/Nav), and 2nd Lt. Louis Cochran (Co-Pilot). 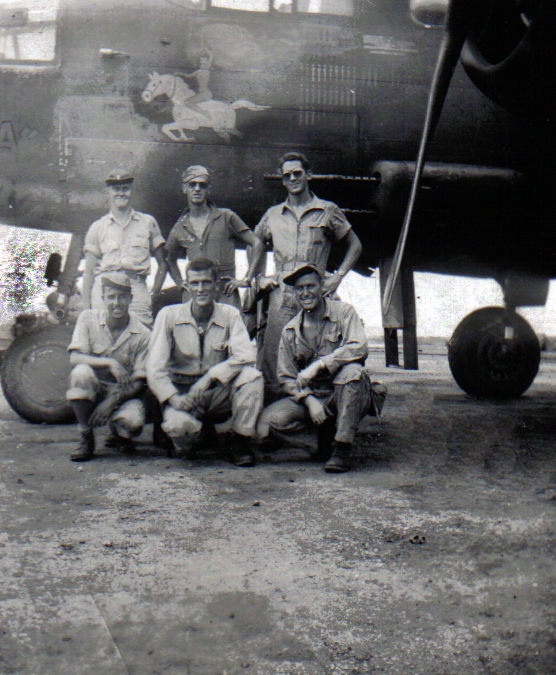 The original crew of "Lady Godiva" after their 5th combat mission during which they sank a Japanese freighter on a mission to Wotje Island. 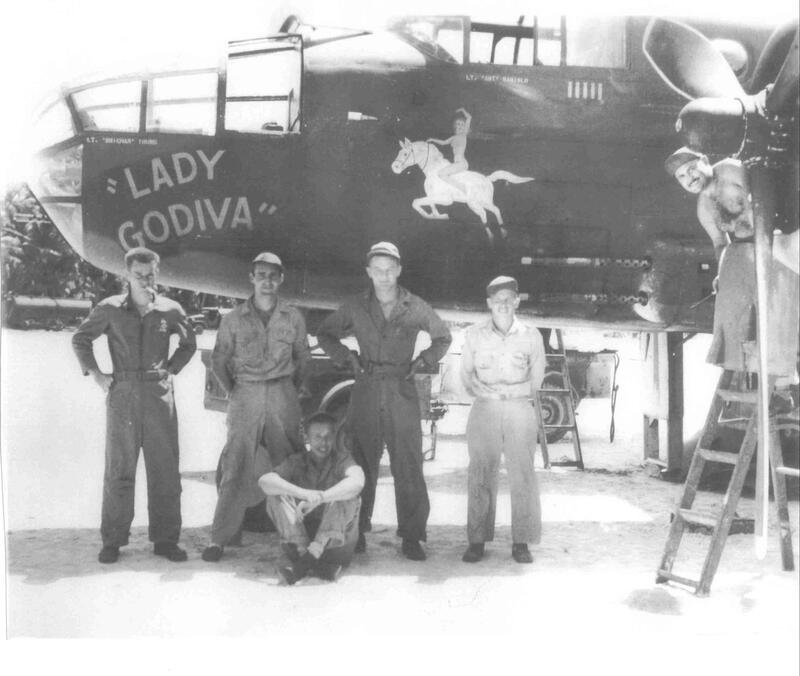 The original crew of "Lady Godiva" takes one final picture with aircraft that they initiallly flew into combat. 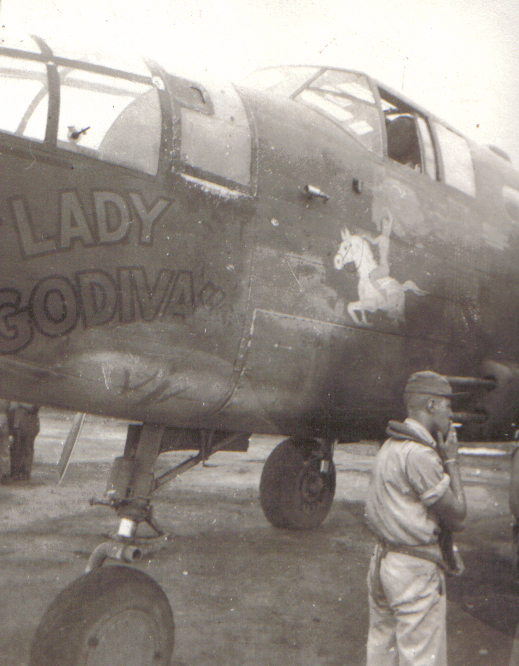 One of the later crews of "Lady Godiva". 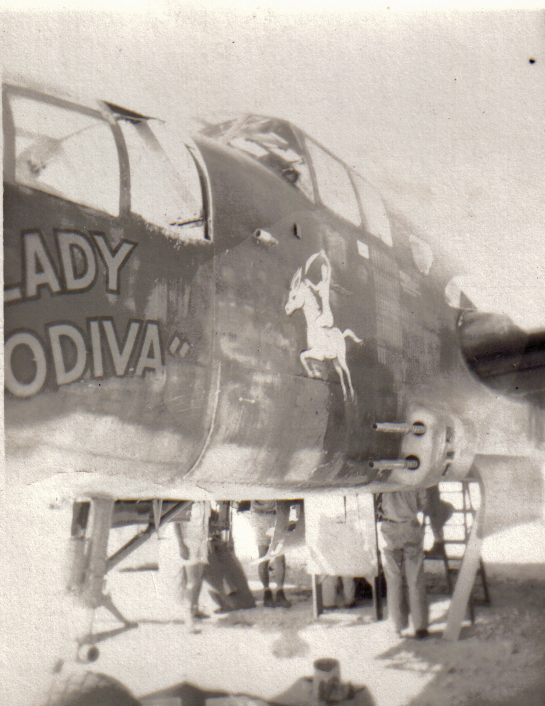 "Lady Godiva" showing the wear and tear from flying in combat. Another shot of "Lady Godiva".